Christmas Entertainment to suit all events. Book one or more of these options, or talk to me about how we can help you with the perfect package of Christmas characters and fun for your event. All lit up, and ready for Christmas Entertainment! Traditional Christmas Entertainment. Floating above the crowds. 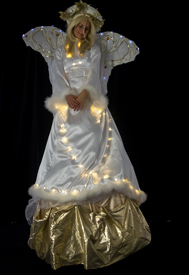 Carols, Christmas Parties and Santa Arrivals aren’t complete without the Angel! 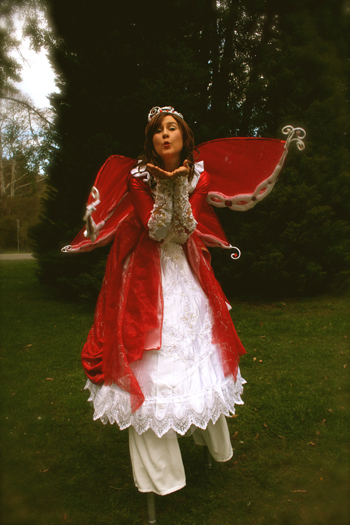 Spreading good will, and peace on earth wherever she floats. 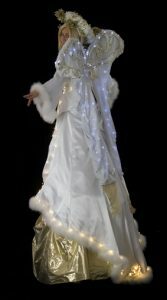 Also available for evening events with her golden glowing lights. Available on 2ft or 2.5ft Stilts. A unique take on Christmas Classic. 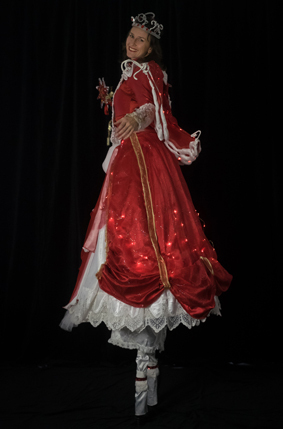 When you want original Christmas Entertainment for Parades, Festivals, Shopping Centres, Santa Arrivals and Parties – The Sugar Plum Fairy waves her wand over all as she floats on by, spreading Christmas magic and smiles. Place your wish list with her before she flies back to the North Pole. Also available lit up. A combination of high skilled circus skills to make your Christmas Event outstanding! 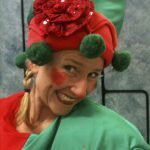 Elfa- Lina, loves to juggle, joke and hula hoop spreading Christmas cheer. 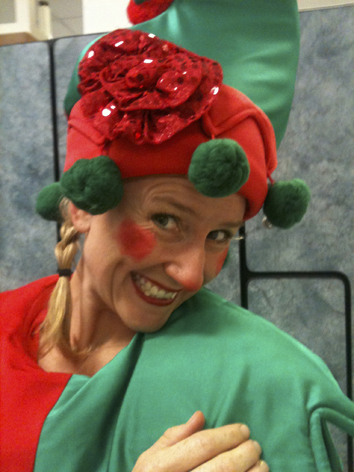 She is a cheeky Elf; full of Christmas fun, some mischief and sponateous acts of joy. Christmas Shows are available on application.